One of the reasons for China’s interest in the Su-35 is its AL-117S turbofan engine. Russia has repeatedly refused to sell the engine as a stand-alone product, which left the PLAAF with little choice but to acquire the entire aircraft. The Chinese military aviation industry is still struggling with designing and building an engine for its new fifth-generation stealth fighter prototype, the Chengdu J-20. In August 2016, China made public that it set up a new state-owned aircraft engine maker to accelerate the development of new high-performance turbofan engines. China’s aviation industry is currently working on the WS-13 Taishan turbofan, a derivative of the Russian Klimov RD-33 turbofan, among other things. Chinese-made military turbofan engines such as the WS-10 are under-performing, according to various reports. 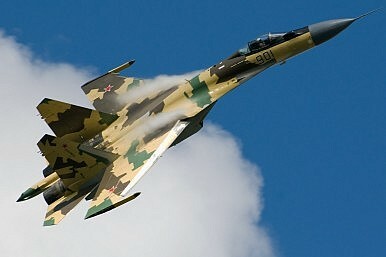 Even the PLAAF’s two fifth-generation fighter jet prototypes–the Chengdu J-20 and Shenyang J-31–are reportedly equipped with older Russian-made jet engines–the Saturn AL-31 and the Klimov RD-93, first introduced in the early 1980s for the Sukhoi Su-27.